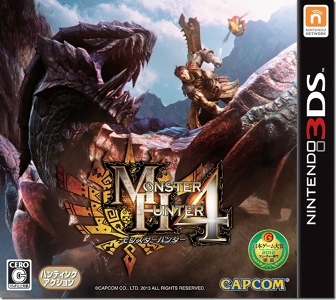 Somehow I don't imagine that Capcom is feeling too bad about their decision to move Monster Hunter to Nintendo handhelds. The 3DS sold a few units as well. A few hundred thousand, that is. Loving that Luigi's Mansion sold almost a million copies so far. Great game that absolutely deserves every sale it gets. Hope that paves the way for another, or at the very least more Mario "universe" games that have a compelling story/characters done in such a living, breathing, soul-filled way. Not sure I'd say that's really close to 2 million, but still very impressive. @Jargon I thought about that, but apparently Famitsu numbers put it at 1.88 million in 2 days so... close enough. This is just the first two days though, MH4 has sold over 2 million by now. Moreover, a local development that features a link with Shibu hot spring resort in Nagano Prefecture as well as positive and wide-ranging collaborations with other industries in areas such as food, drinks, and clothing, etc. have been highly successful in exploiting promotional opportunities with the result that as early as the fourth day after the launch sales had already topped 2 million units. Huh. Never would have guessed that Monster Hunter is popular in Japan. 1.7 million? Aren't there only like 90 million people in Japan total? Nuts. So does this version have online? See that little "Nintendo Network" icon in the upper right-hand corner of the box art in the OP? @GameDadGrant The Nintendo Network logo doesn't mean it has online play, any type of online features will get that logo on the box. For example, NSMB2 and Theatrhythm Final Fantasy both have that logo and they don't have online play, just DLC. But yes, there is online play. So, Pokemon X and Y for 3 Million in 2 Days in Japan? Hot damn, I'm so excited, and I just can't hide it! I hope they release it here in the States just like they did for 3DS and Wii U. It is indescribably cool to seamlessly take your character to either system. Agreed!! It was very handy on long trips, or for questing during school. What a great feature! Nintendo and Capcom could further this collaboration to have the 3DS tow the Wii U along with it into the limelight. Is Breath of Fire 6 a thing that's coming out? Either way, yeah. Nintendo should be talking with Capcom about getting games on the Wii U. That system needs games like none other. So Capcom not only stopped making Mega Man games, refuses to put Ultra Street Fighter IV on a Nintendo system, AND made a new Breath of Fire game...for freakin' MOBILE devices?! ?